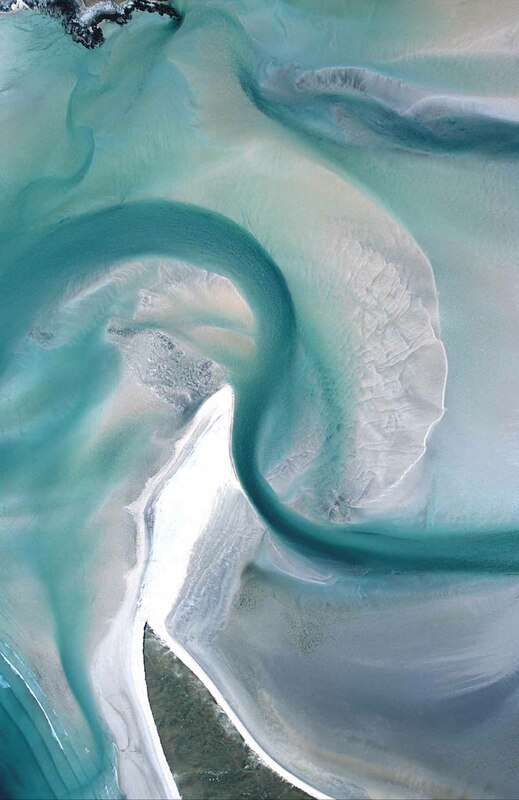 Richard Cooke, is holding a major exhibition of his aerial images of the British coast in conjunction with WWF - UK, and with the printing materials sponsored by Epson, at The Association of Photographers&apos; Gallery, 81 Leonard Street, London EC2A 4QS. (Tel: 020 7739 6669) from 5th - 15th October 2005. Although we are an island nation, most of us know little about our own coast and yet, at over 7000 miles, Britain has not only the longest, but also the most beautiful and diverse coastline in Europe. This major exhibition will show 55 of Richard&apos;s most spectacular aerial images of the coast. The work developed from a Royal Mail commission to explore and photograph the coast from the air for a set of ten special issue stamps. It was soon clear that there were far too many stunning images than could be contained in a single set of stamps and the original project has already expanded into a book, Coastline UK, (published by Thames and Hudson). The exhibition in October is part of a drive by the WWF - UK to try and make us aware of our beautiful coast, its fragility and its importance in our lives. "Even places that look flat and uninteresting from the ground, like the Essex coast, have a strange organic quality, when seen from the air. Mud takes on exotic patterns and becomes a cross section of brain or a sea serpent and in other areas the "hand of man" takes over. Houses, footpaths and golf courses perch perilously close to the cliffs and container ports become graphic patterns of colour and shape. "In the Outer Hebrides, I saw the swirl of turquoise sea and sand beneath the helicopter and felt I had found the place where God washes his brushes out after painting the sky. The colours were so clear and vibrant, I could hardly believe this was Britain."